3D equipment maker Volfoni is looking to capitalise on many of RealD’s 3D lease contracts coming to an end in the next 12-24 months by ramping up production capacity in China and France. After just 15 months since its launch at CineAsia 2013, the SmartCrystalTM Diamond has been the number one selling Hi-Lef 3D system. With over 300 units shipped, this represents one installation every 36 hours somewhere on the planet. Backed by this success, Volfoni proudly announces today that it has opened a second factory for the production of the SmartCrystalTM Diamond in China. Volfoni repeats it successful roll out of production processes that have been developed by its R&D and Production team in Nice, France. “The unique compact Triple Beam Technology from Volfoni is extremely well adapted for mass production without any compromise on quality”, says Jérôme Hamacher, Chief Operating Officer of Volfoni. India – The Economic Times interviews the CEO of Kinepolis about the company’s expansion in India. Cinepolis has been in India for about 7 years but has only 194 screens. You expanded faster in other countries. What’s holding you back? Of the 12 markets we are in, India is the most challenging for business because of the really long time it takes to get permits and licences, high cost of real estate, over regulation in many areas, high taxes and high entertainment taxes across many states. We have never faced entertainment taxes above 16% anywhere in Latin America because we only pay VAT or GST. Whereas here, we pay up to 68% taxes in some states. So, it’s a challenge. In some ways, India is also more protectionist than other countries. There are more barriers to tariff and non-tariff to trade so when you add it all, it becomes a more challenging business. But I see a lot of optimism with the new government. 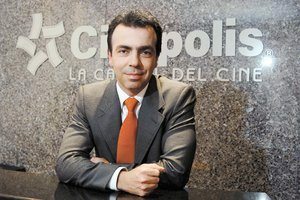 Globally, growth for Cinepolis has been organic. But in India you have acquired Fun Republic. Why the change in strategy? New Zealand – Vista’s profits may be higher than initially estimated for the previous quarter. 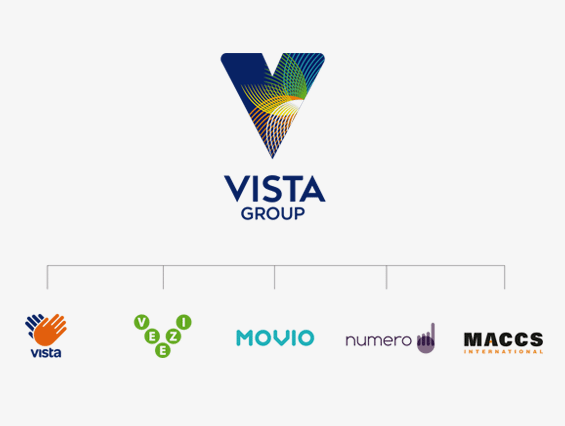 Vista Group International, the cinema software and analytics company, is reassessing whether it has to increase the value of its 2014 goodwill, which would boost last week’s reported annual profit of $3.99 million. USA (CA) – An all-digital signage solution for this Muvico multiplex in Thousand Oaks. Cinema Scene Marketing announced the completion of the first installation of its digital poster initiative (DPI) by deploying full-motion digital displays in place of the traditional paper movie posters. The Muvico 14 Thousand Oaks in Thousand Oaks, California, becomes an industry-wide showcase location featuring Cinema Scene’s suite of digital media and menu board products, the company said. UK – Yet another round of research from DCM proving that cinema is more memorable than television for advertising. Norway – Scandinavian distributor Nordisk has signed up to Unique’s Transit system. France – A UGC cinema in the south of France has been robbed. Two thugs robbed the body of the UGC cinema Prado in Marseille on Friday night around 20:30. A holdup quickly executed before the spectators waiting in the lobby … but that was not a fiction. Around 20:30, two helmeted and armed men robbed a recipe for établissement.Vers 20:30 two helmeted and armed men robbed the recipe away. 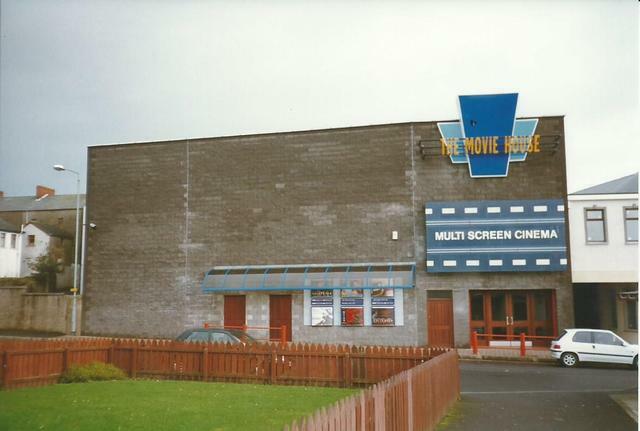 UK (N. Ireland) – The only fights in cinemas should be on the screen, not in the lobby. Two young Maghera men who attacked a group of youths in the foyer of the local cinema, were each given three-month suspended jail sentences when they appeared at Magherafelt Magistrates Court. Ruairi Norton (22), of Sunnyide Park, and Bernard O’Donnell (24), Meetinghouse Avenue, each admitted a charge of disorderly behaviour at The Movie House on December 13, 2013. 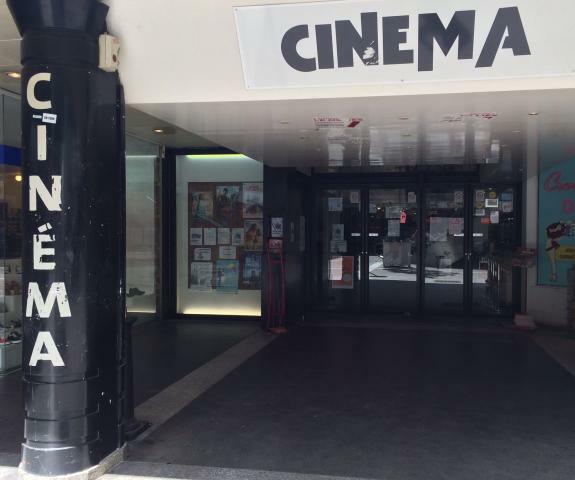 France – An embezzlement case against the Montreuil cinema’s manager in has been thrown out by the judge. Justice has delivered a dismissal in the case of alleged embezzlement Méliès, renowned theater Montreuil whose team, challenged by the former mayor Dominique Voynet, was supported by big names of the 7th art, a- was learned today. Australia – A start date for the building works for the Glenelg cinema. The Taplin Group has appointed Vallco Developments to build the 930-seat, eight-screen cinema complex on land bounded by Milton, Cowper and Partridge streets. 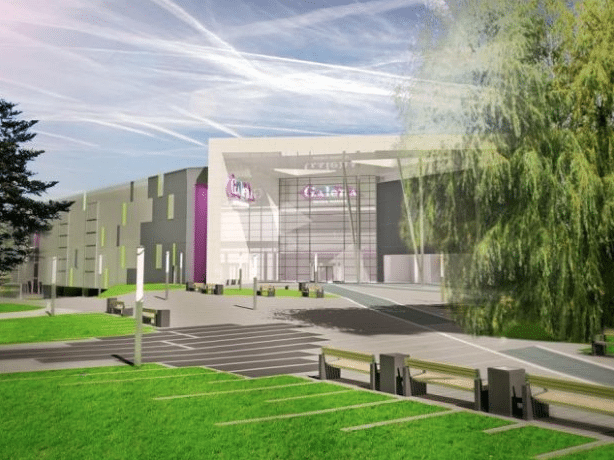 The company will also build a two-level carpark over the existing carpark to the north of Partridge St.
Poland – Multikino is opening a new multiplex in Jaworznie. Latest cinema in Jaworznie, Pasque, was closed in 2002. Today, the site is a Ladybug. 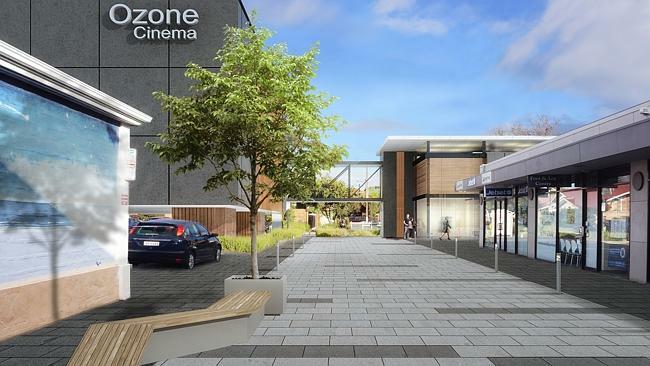 Investors Galena Shopping Centre, which is located within the old shaft “Kosciuszko” in the center Jaworzna, saw to it that in this facility, a new cinema..
Germany – Not known who the operator of this multiplex cinema in northern Bavaria will be. 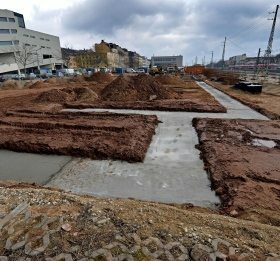 The big wait seems to be over: On the long fallow construction site for the new multiplex cinema in Fürth Gebhardtstraße stirs not just something, it will already laid concrete foundations. The beginning of March to the cranes advance for building construction. Pakistan – A sad end to one of Pakistan’s oldest cinemas. The Taj Mahal cinema of Abbottabad city, with a 66-year history of film exhibition in Islamabad, is being dismantled after its owner recently sold the property. 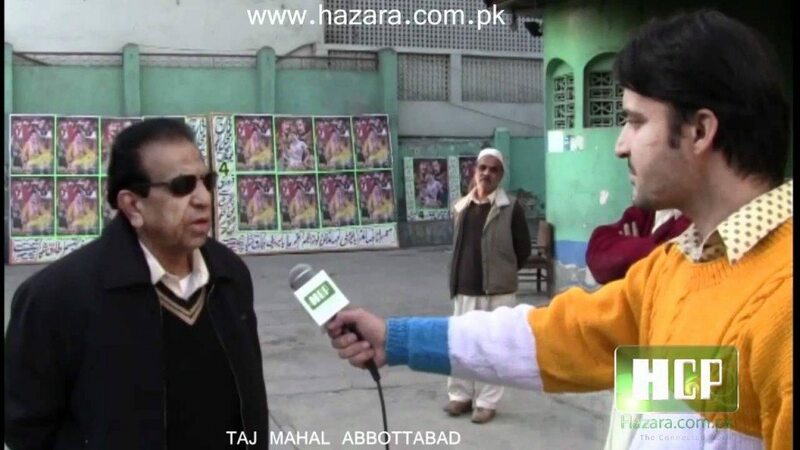 Mohammad Saeed Khan, who was running the Taj Mahal cinema in Khyber Pakhtunkhwa provincial city for the last four decades, said business was at full swing till 2010 with Abbottabad, being a tourist city, providing entertainment to visitors, Dawn reported. The 78 year old Greek Vasilis Dimitrious is one of the last hand painters of film posters in Europe, something he has been doing for 63 years. Sadly a dying art form. “People are very interested in his art. Some customers find the two movies playing at the time Mr. Vasilis hangs his work. We try to support him because now everything is digital. It is important for us to have this window outside of the virtual world, “says Kostas Giannopoulos, one of the patrons of Athinaion film, leading us up at Vasilis Dimitrious in the northeast of the Hellenic Capital. It is now twenty years since the Greek artist painted every week two movie posters for the family business, located on a prime location on a crowded avenue leading to Syntagma Square, the most famous of the country.